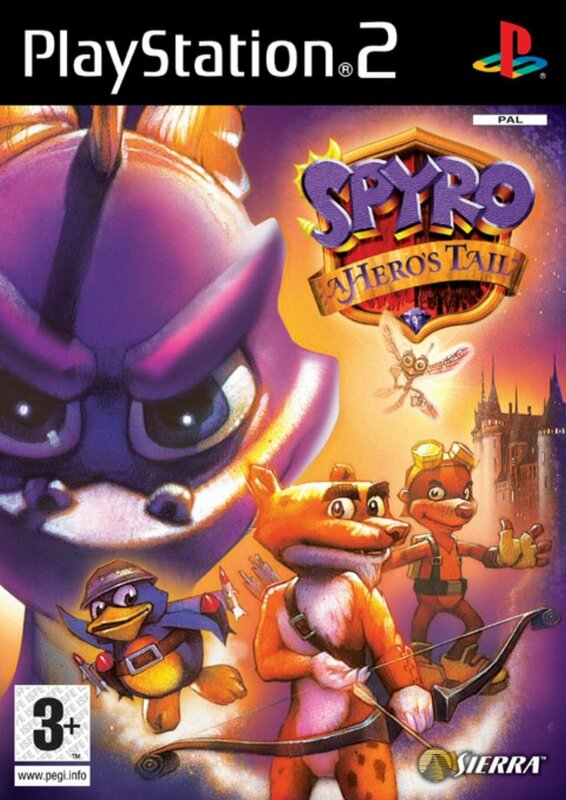 The fifth major console version of the little purple dragon has arrived. 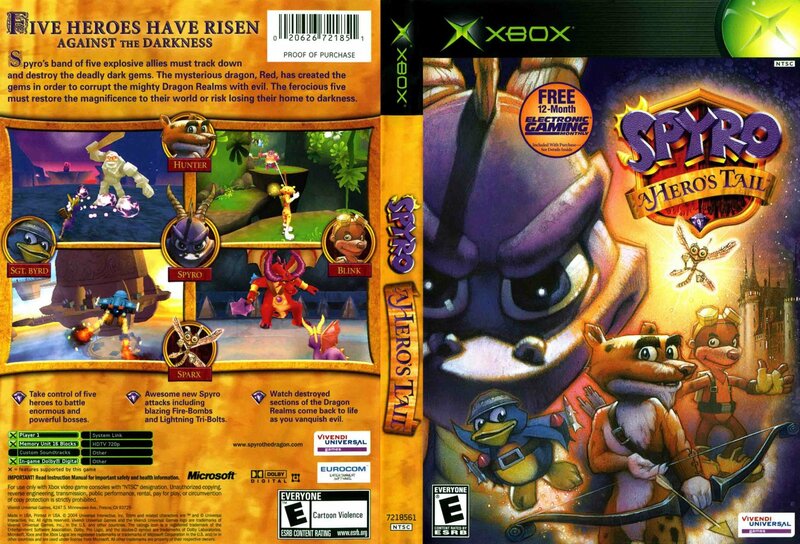 Spyro returns this time developed by the company behind such games as Buffy the Vampire Slayer: Chaos Bleeds, Sphinx and the Cursed Mummy and Crash Bash. Eurocom. They bring with them a fresh feel to the series that had been nearly completely ruined by the efforts of the last company in Enter the Dragonfly. 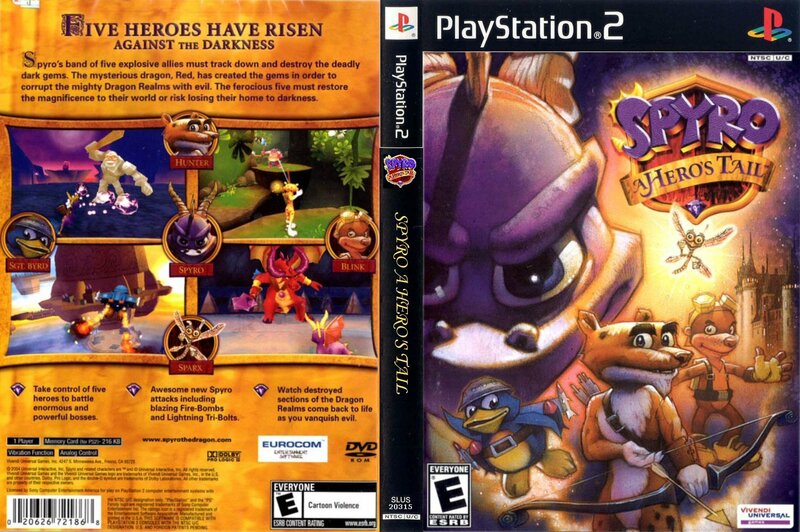 Spyro: A Hero's Tail is released on all three major consoles, the PS2, GameCube and Xbox. 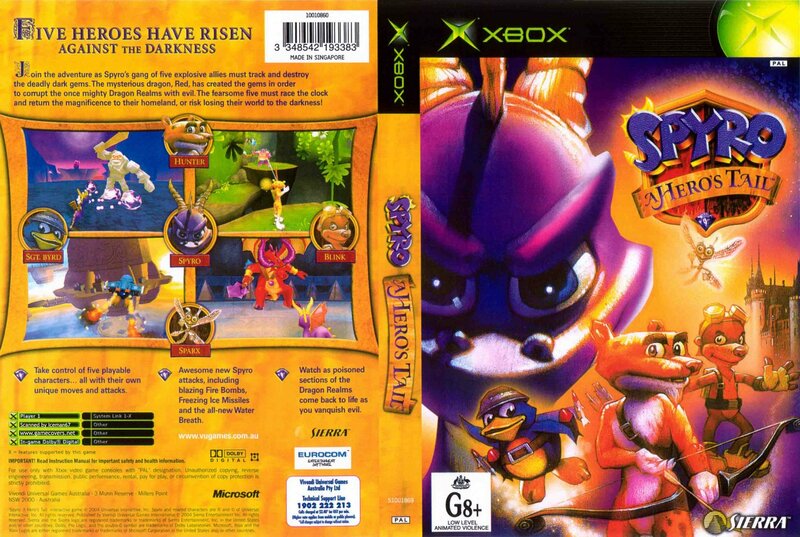 Featuring five playable characters including one brand new character, Blink the mole. Once again the Dragon Realms are in danger, this time from a fellow dragon. Red, the evil dragon, a fallen dragon elder has placed many dark gems all over the realms in order to gain control over them. Their powers are seeping into the world and corrupting it. 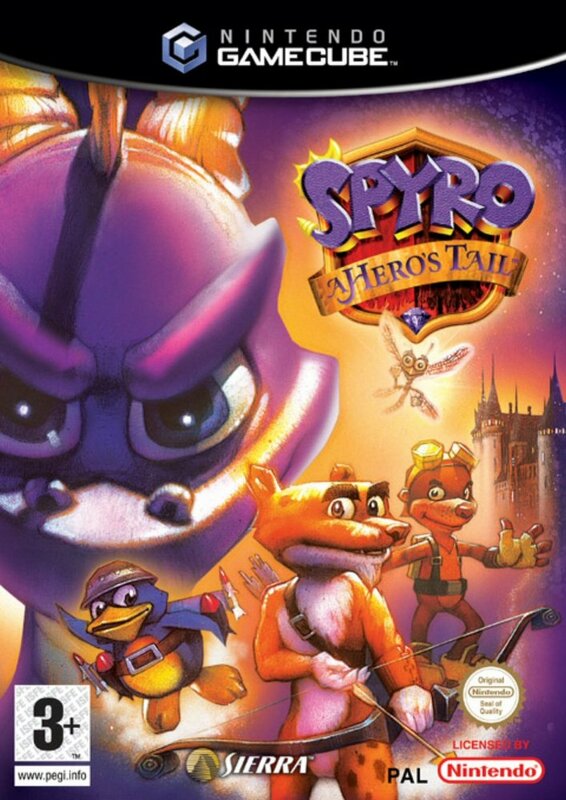 It's up to Spyro and friends to save the world again! Also good, but not as good as Year of the Dragon. The jokes were even better than in previous games, like "You lose a million brain cells" and "Maybe you could redecorate a little!". 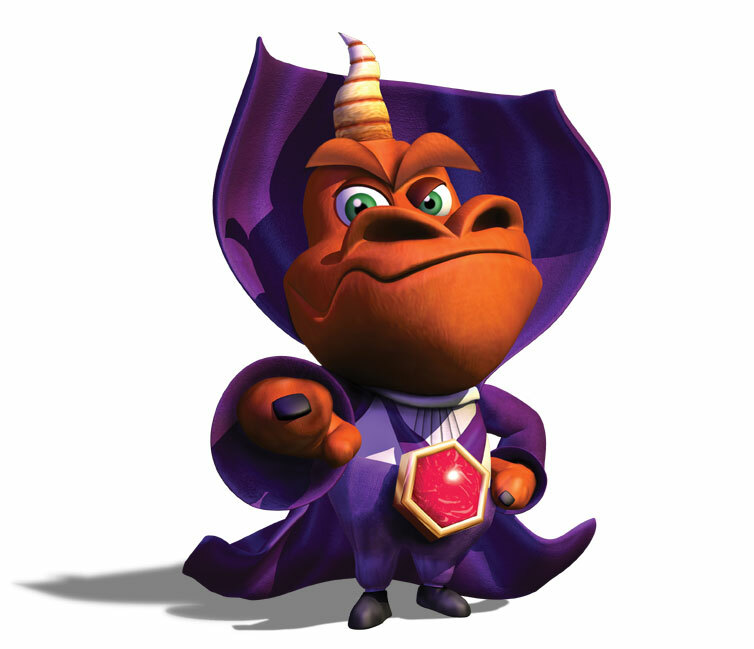 The new characters were Ok. Ember was the funniest character and Red was the coolest villain in the series. Too bad they were raped in Shadow Legacy, but I still like Red as a bad guy and SpyroxEmber shipping. And the graphics were great, even better than ever. 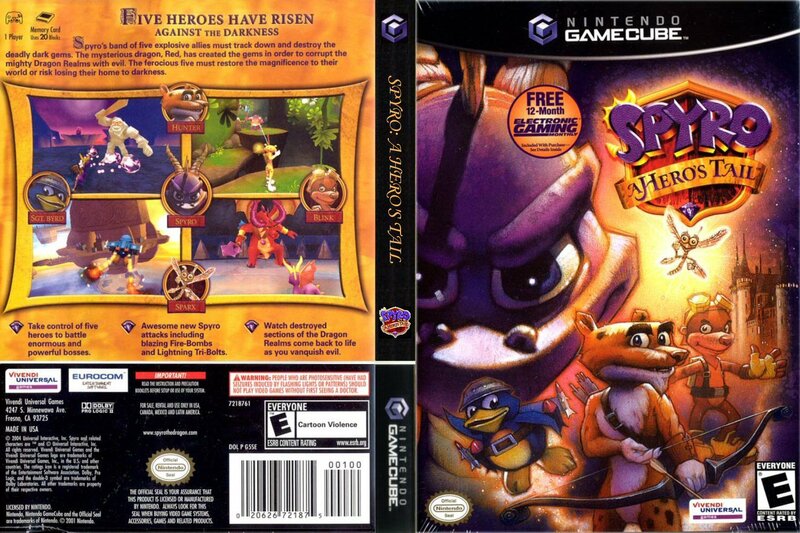 But it still lacks the good storyline and gameplay from the first three games. Oh, ih8u2,(or anyone else who can help), how do you get on the ledge in Frostebite Village??? You know,the on by Moneybags' shop pad ESLIMOLE VILLAGE??? If you get on the cannon and turn ALMOST ALL OF THE WAY LEFT,you can easily see it??? It's the highest piont there. Please tell me how to get up there. your welcome, me. for those who aren't far through the game, all the characters minigames, concept art, and playing as ember and flame are also unlockable. when the game starts up, look at the menu. Go to extras, select "play as ember" and start a game. u should b ember. I know that, I got all of those eggs. HOW do you play as Ember??? get all eight of the pink flowery eggs (check your progress using the select button) that Mrs. Shoutfire wants and you'll be able to play as ember. If you get all of the red flaming eggs, you can play as flame. Help!!!!! How do you play as EMBER????? ?A fairy told me how, but it came offa the screen before I could read it. HELP!!!!!!!!!!!!!!!!!!!!!!!!! i will help you with red it took me 9000000000000000000000000000000000000 tries to kill red completely,but i will help you. 1st of all, listen 2 the floor.see below. white/blueish: Red will spray ice at you. after Red sprays ice at you, look out!!!!! Red will start flying. run either way. if a laser gets too close, jump,timing your jump perfectly.the lasers will disappear, run right. more lasers. these lasers go much slower,so keep going right.when Red lands, he shoots,so charge at the right moment.it helpsifyou turn around when you charge.keep running,in the same direction. boxes with Red's face will appear.aim 4Red, using your water breath. move fast as Red destroys the boxes.if you didn't killhim yet, follow the same procedure. i gota ps2. my 1 game. love it. kissed it gazillion times. killed Red. Red is tough. killing Red, listen 2 the floor. I like it lots and lots. So Imsoniac let him go so what? I realy don`t know why every is making such a fuss? If you ask me it`s an improovment.